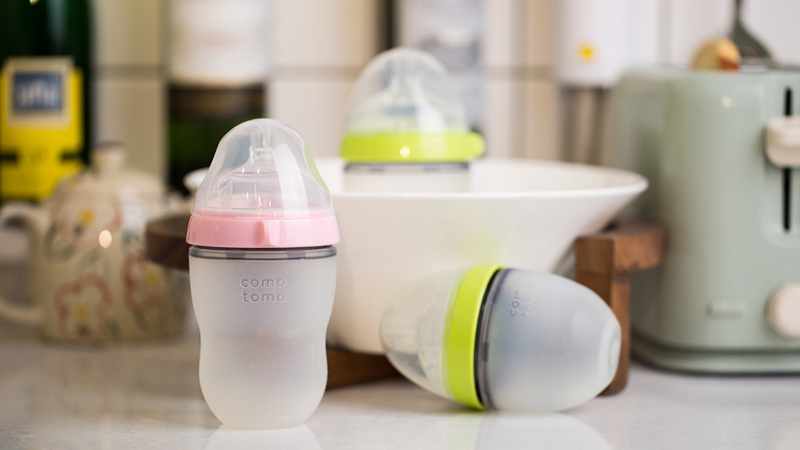 Preparing a bottle of formula could sound like a piece of cake, but for a new mom even the basics could be confusing sometimes. Here are the steps suggested by the American Academy of Pediatrics, to ensure that you are not making a mistake when mixing your baby’s formula. It’s a must to always wash your hands with soap and water or hand sanitizer and dry them before you prepare the formula. You don’t have to wear gloves or anything, but you should make sure that you’re not introducing germs into the formula mix. You can sterilize cold tap water by boiling it for one minute. Don’t boil it for too long! Longer than 1 minute boiling can actually increase the impurities in tap water. After boiling, you should let it cool for 30 minutes. Sterilized tap water is the best choice for mixing with formula, since bottled water could be contaminated. There are different types of formula, with different amount of water to be added. You should make sure that you’re adding the right amount of water, not adding water to ready-to-use formula. Check the measurements on your baby bottle and make sure that your baby is drinking the recommended amount. Before giving the formula to your baby, drop a few drops of formula you mixed on your wrist to check the temperature. Formula should be about room temperature. If it’s too hot, you don’t want to burn your baby’s mouth so you should leave it to cool for a few minutes. Warming formula in microwave is not recommended – microwave can heat the formula unevenly, causing some pockets to be too hot and others to be just the right temperature. Formula that’s been left at room temperature for more than an hour should be thrown away, to prevent bacterial growth. Also, if your baby has eaten the formula partially, don’t store it in the refrigerator for longer than an hour. If the prepared formula hasn’t been consumed by your baby, it can up stored in the refrigerator for up to 24 hours.